For the first seven years of our history, we bundled our software solutions with managed services. But customer needs have evolved. Some customers want advanced software, but don't want to pre-pay large deposits upfront. 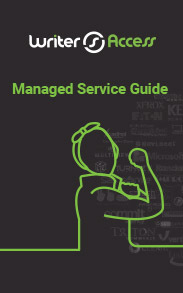 Other customers want managed services but don't need advanced software. To support the next generation of customers orbiting at high speeds, we rolled out NEW managed service levels for all customers. When you make an escrow deposit starting at $2,500, you'll get free managed service support hours to help you spend your funds wisely. We're excited to offer this newly crafted managed service element of our offerings, with the rewards you demand from a disruptive marketplace. Download the eguide for more details, then contact sales to get started.